This adaptive gear helps people enjoy winter, when they might not be able to do otherwise. 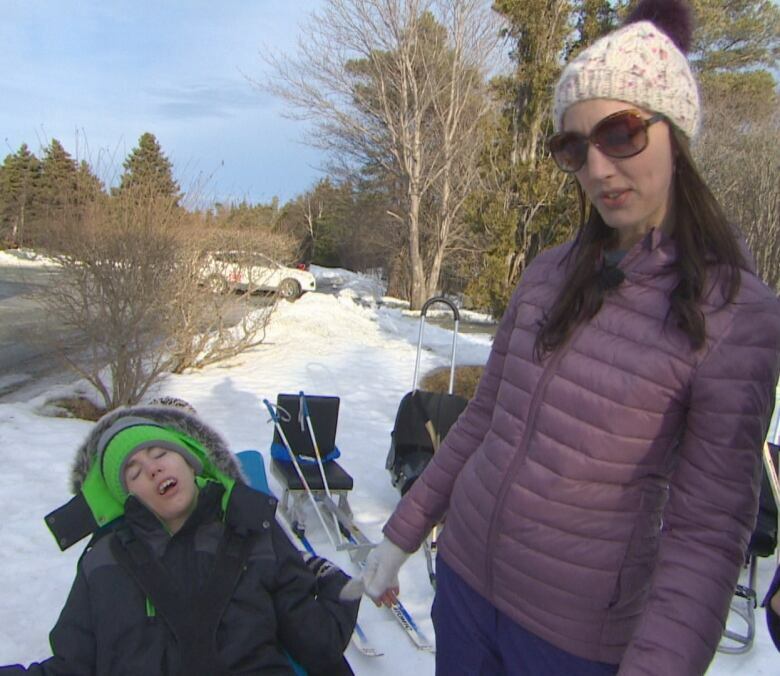 Getting around St. John's in the winter can be difficult for Julie Brocklehurst and her young son with cerebral palsy, especially in parks and on trails — but a little-known city program aims to help them and others enjoy the outdoors. Brennen has to use his wheelchair to take in the sights, sounds and smells of the nature that surrounds the city, but that doesn't stop Julie from taking him on adventures. "We're pretty active as a family and we try to get out as often as we can. It's tricky," she said at a snow-covered Pippy Park, located in the heart of the city and known for its scenic walking trails. The city's Inclusive Services department began acquiring gear such as sleds, sledges for skating, a snow coach and a sit-ski in 2013 to help give more accessibility to public parks even if conditions on the ground prove to be difficult. 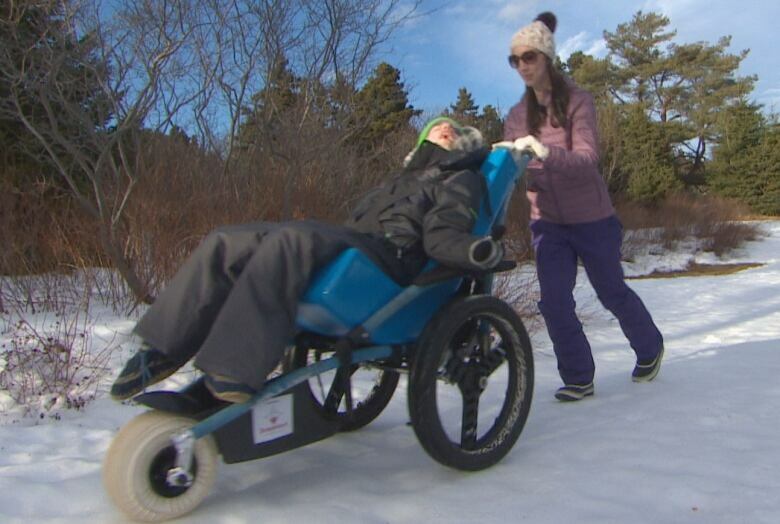 Julie and Brennen tried out an all-terrain wheelchair on the snowy trails of Pippy Park this week. "It allows us access to trails and, I guess, areas of our community that we wouldn't be able to access with a typical wheelchair," Julie told CBC's Anthony Germain. "There's a couple of different wheel attachments and there's actually a ski kit that comes with this one so you can put skis underneath there. We're looking forward to doing that." 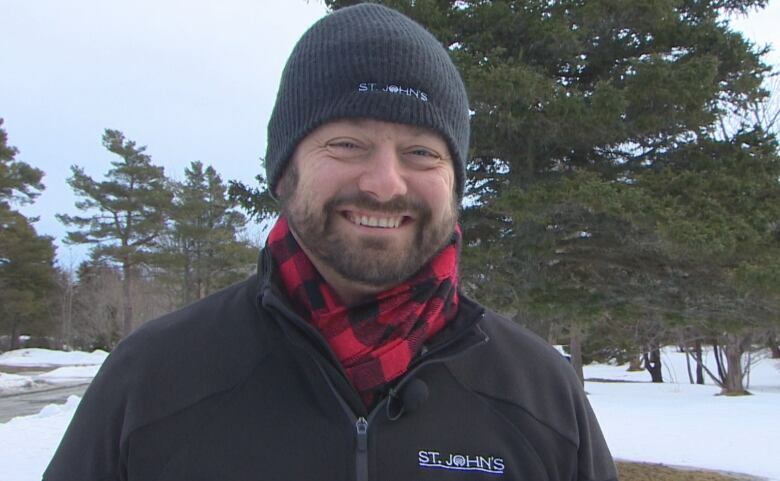 "Everyone should have the ability to ski, slide, skate or go out hiking. So, this gives them the opportunity," said Ward 3 Coun. Jamie Korab. "If you have a physical barrier, and also a financial barrier, it's free." Julie has looked into buying her own adaptive equipment, but says pieces like the all-terrain wheelchair are fairly expensive. Being able to borrow the items from the city at no charge to try them out is an added perk for her. "It certainly would be very expensive to buy equipment like that," she said. Korab recommends interested residents try to book the equipment up to a week in advance, and they can then hang onto the gear for up to two weeks, so there's no rush to use it. He said adaptive equipment provided by the city was used by residents for 202 days in 2018, and the city hopes to hit 365 days a year as the program continues.